AV Hire Melbourne Offering the Best Video Cameras, Monitors and More! Need to video an event or shoot some footage for display? 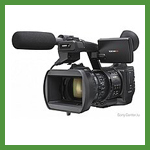 Corporate AV Hire Melbourne offers an extensive range of Sony professional video camera hire including HD Cameras, DVD Camcorders, Mini DV Cameras, tripods and accessories. 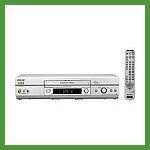 We also have a Datavideo HDR-40 DV/HDV Recorder/Player. Wondering how you can easily switch between various inputs such as microphones, video, laptop, Internet and/or live performance? We offer an extensive range of video equipment rental that places professional presentation right at your fingertips. Our range includes Mixeruch MX-12 Digital Video Mixer, RGBHV Distribution Amplifier, Folsom Screen Pro and Vista Spyder. Need to play a video or powerpoint at your next meeting or training session? Monitors provide excellent viewing for smaller audiences. Our wide range of video equipment hire include 68cm Monitor Style TV, various sizes of LCD Data Monitors, TV/VCR Combo, Monitor Stands and more. 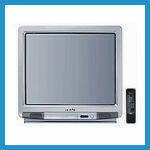 Plasma screens also available. You found great archival footage on a Beta video tape but who has a Beta player these days? Corporate AV has players for all media – new and old. Our range includes VHS Player/Recorder, Betacam UVW-1400 Player/Recorder, SVHS HI-FI AG-7700 and more. We offer fast and reliable AV equipment hire in Melbourne 24/7. Let us take care of all your playback needs. Need video across multiple screens or monitors? 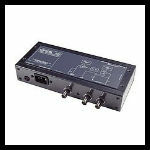 We have a range of Cinde video distribution amplifiers (video splitters) for hire that allow you to display video on two or more screens and/or monitors. 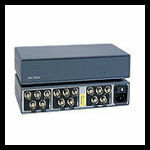 AV hire includes Cinde 3IS Video Optoisolator Line Driver Distribution Amplifier and Cinde 8V 8 Output Distribution Amplifier. Do you need a plasma screen hire for your event? When professional presentation matters, Corporate AV is the company to call. 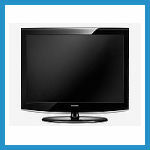 Select from our range of Samsung Plasma and LCD screens. We also have a 2m Plasma/LCD stand where screens can be mounted back to back. All equipment is of the highest standard, with set up and operators available on request.